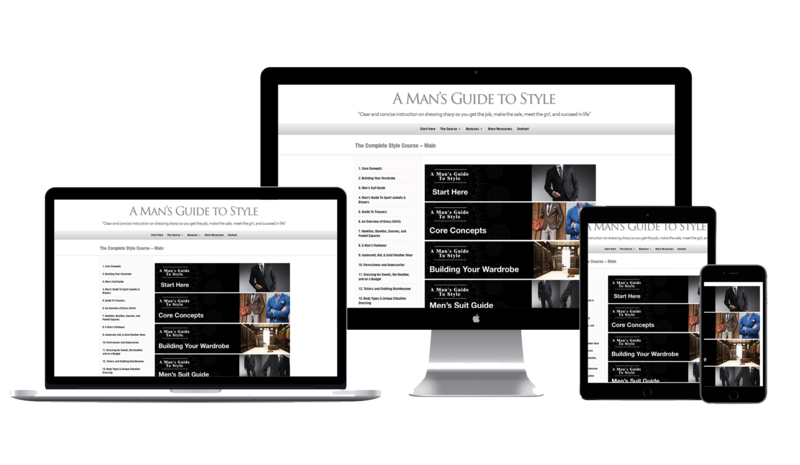 A Man’s Guide To Style Home-Study Course - 100+ illustrated lessons delivered instantly via a private membership website..
PDF eBook - All of the sections above condensed into a PDF eBook. Video - 50+ Support Videos & 75+ Audio Readings. Audio - 13+ Hour Audio Companion – Broken-up into 77 sections.